Yesterday morning, the Energy and Power Subcommittee of the House Energy and Commerce Committee met to mark up H.R. 910, the Energy Tax Prevention Act of 2011, but the results was a foregone conclusion. As they say in poker, Republicans had the “nuts.” The legislation, which would prohibit the Environmental Protection Agency from regulating greenhouse gases under the Clean Air Act, was co-written by Committee Chair Fred Upton (MI), and it enjoyed the support of all the Rs on the panel. 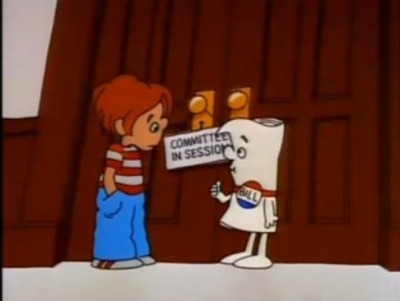 Subcommittee Chair Ed Whitfield (KY) didn’t even bother with a roll call, and the Democrats on the panel didn’t object, so the bill passed by a voice vote alone. Indeed, the only mystery to yesterday’s vote was whether any of the Subcommittee Democrats would side with the majority party. Already, senior House Democrats Colin Peterson (MN) and Nick Rahall (WV) have sponsored H.R. 910. The most likely Democratic defection, heading into yesterday’s markup, was Utah Rep. Tim Matheson, but he stayed in lock step with his party. The fact that they had no hope of stopping the legislation didn’t stop Subcommittee Democrats from trying to gum up the proceedings. They adopted a neat division of labor. Rep. Henry Waxman (Beverly Hills): He argued that H.R. 910 would overturn the White House brokered “deal” with auto companies to raise fuel efficiency standards. This was an effort to frighten Committee Chair Fred Upton, who represents Michigan, and who is therefore very concerned with the auto industry. It was at Upton’s behest that the text of the legislation exempts this “deal.” The Committee General Counsel testified that Waxman’s interpretation is wrong. Rep. Gene Green (TX): Although he voiced support for stopping the EPA from regulating greenhouse gases under the Clean Air Act, Rep. Green claimed that H.R. 910 is bad legislation because it faced a certain veto in the White House. [N.B. I’m not so sure this is true. Heading into the 2012 elections, the economy likely will be the paramount issue, and it might not make political sense for the President to proceed with expensive energy climate regulations]. He said he is working on a bill that would delay the EPA. Rep. Anna G. Eshoo (CA): Rep. Eshoo cited federalism as a reason to vote against the bill. She said H.R. 910 would strip California of its authority to set fuel efficiency standards. In fact, the Energy Policy and Conservation Act 1975 empowers only the Congress to set fuel efficiency standards. Eliot L. Engel (NY): Rep. Engel followed a clever line of reasoning that, quite frankly, I didn’t fully understand. He seemed to have made a very particular legal argument that H.R. 910 would conflict with prior federal efforts to fight climate change. From what I understand, the full Committee will take up H.R. 910 on Wednesday.